Muralitharan felt his team fell 10 runs short of what they would have wanted on the board. Content with his team's performance, Sunrisers Hyderabad coach Muttiah Muralitharan said the franchise had a good chance of making the IPL final if its qualifier against Kolkata Knight Riders had not been truncated due to rain. 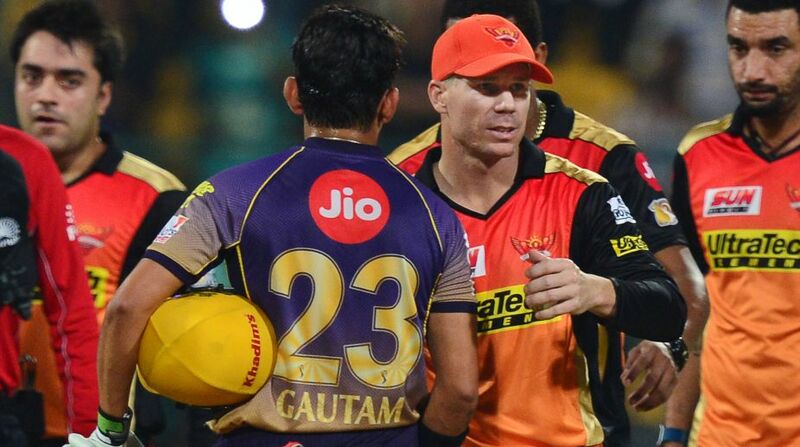 The qualifier 2 between Kolkata Knight Riders and Sunrisers Hyderabad was a rain-curtailed match. Opting to bowl first, KKR produced a disciplined bowling and fielding effort to first restrict Sunrisers to a modest 128 for seven and then overwhelmed the revised target of 48 in six overs with consummate ease. “I think overall if you see, the Bengaluru wicket this year was very low scoring. I thought 130 is a par score. I think with more runs on board and if you take two or three wickets in a 20-over game, we would have had a better chance than playing a six-over game,” Muralitharan told reporters at the post-match press conference here. “The wicket is not that great to play shots here, because if you had played your shots, you would have been bowled out for 70-80 runs. We were thinking about putting 140 runs, and if we had a 20-over game, we had the bowling to defend. Unfortunately, we were 10 runs short. They bowled well as well,” he said. “We have all seen on this wicket this season, even while defending 130, teams have won,” he added. Muralitharan said the team had a very good season and played well. “Unfortunately, it was the rain, which you cannot complain about, and you need to move on because they played better. We had a very good season and we played well. “However, unfortunately you need to go out sometimes when you are in the knockouts. Therefore, unfortunately this year is not our year. We will make sure if we can build the same team next year, comeback and fight for the trophy,” he said. Muralitharan reiterated that he is satisfied with the players' performance. “Our batsmen batted well, the bowlers, who were picked in the auction, did well as well. Therefore, we are satisfied with our players along with our performance as well,” he said.